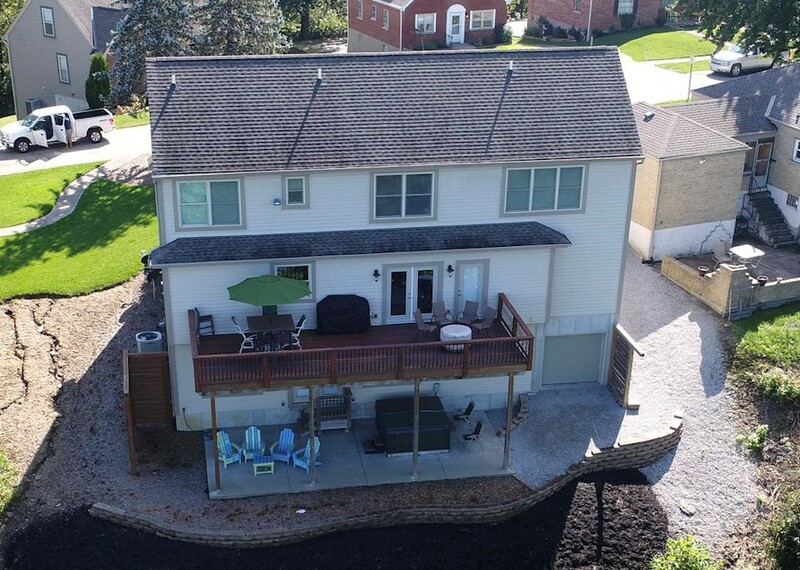 We are excited to bring you this new listing in Fort Wright on Upland Ave! 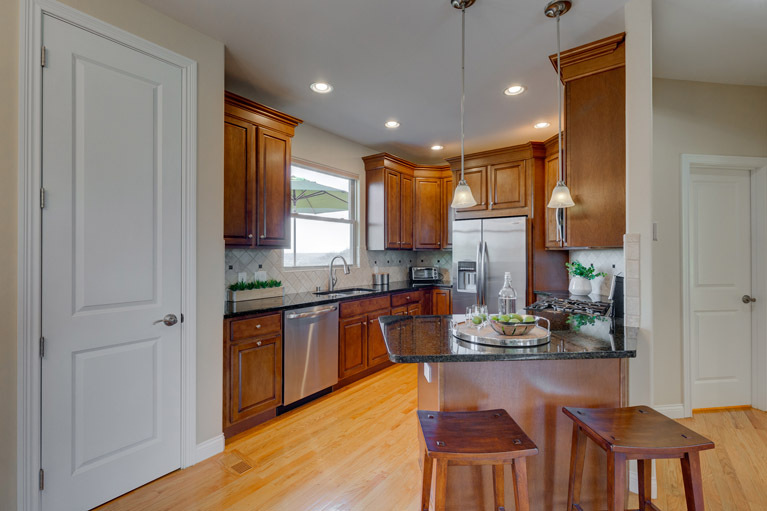 This home was built by Trauth Homes in 2010 and has been meticulously maintained. 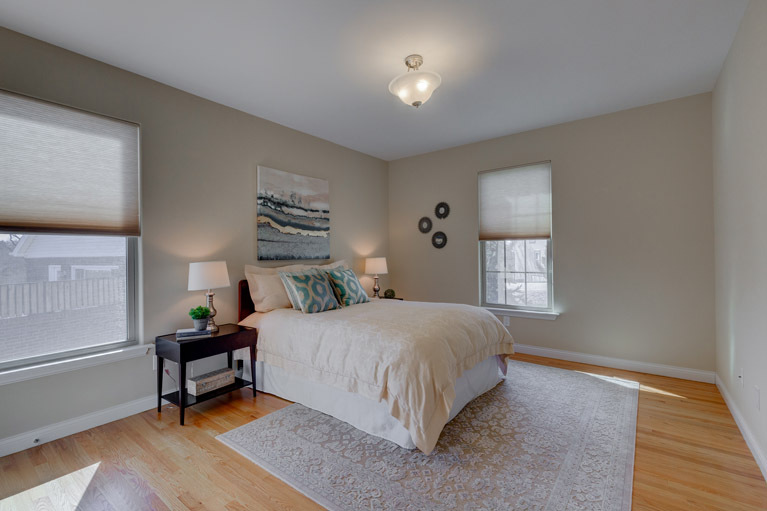 This home features both a 1st floor AND a 2nd floor master bedroom! 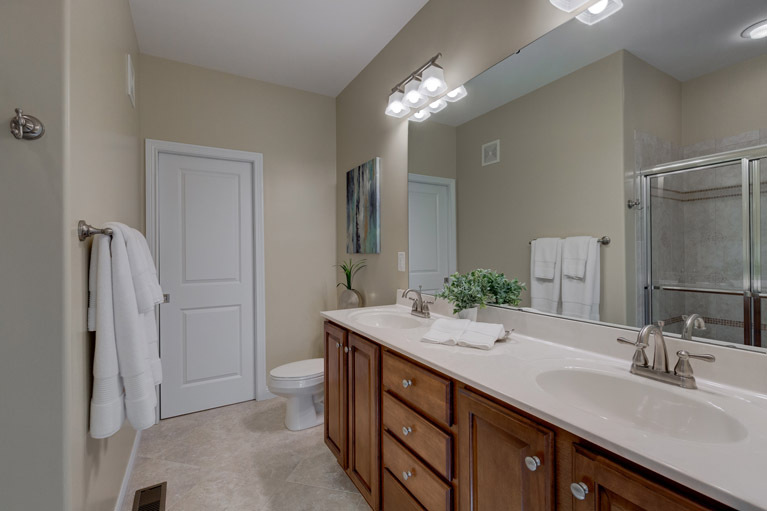 The first floor master includes an attached double vanity bathroom with shower and a walk in closet. 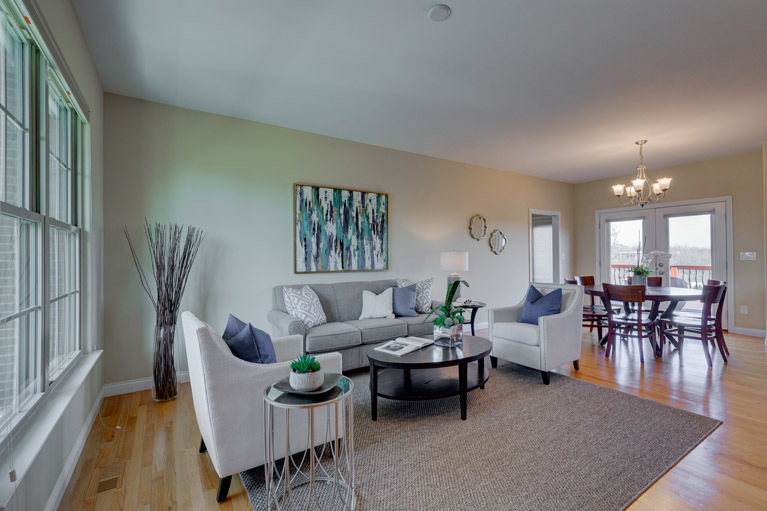 The second floor master is very spacious, including a sitting area and double walk in closets with plenty of storage space. 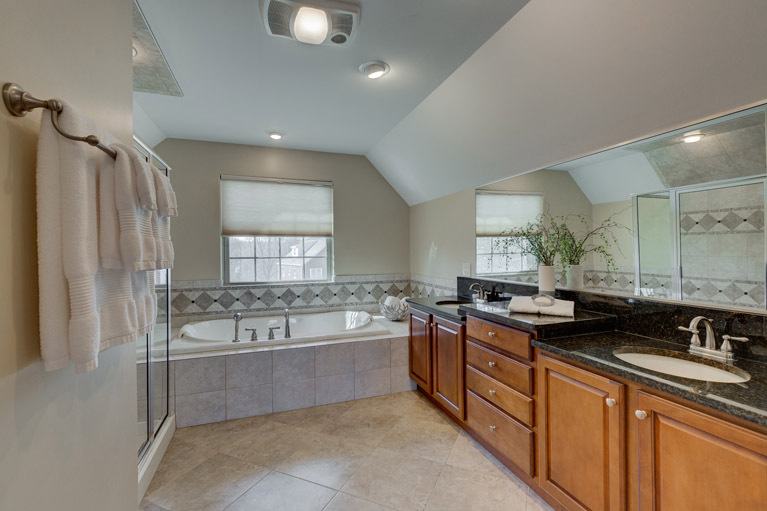 The attached bath has a Jacuzzi garden tub, a stand alone shower and extended vanity. 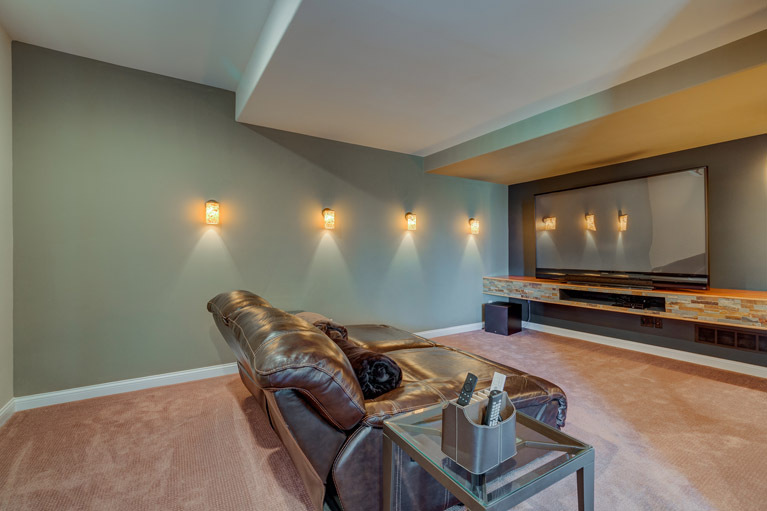 The basement is perfect for entertaining or relaxing during an evening at home. 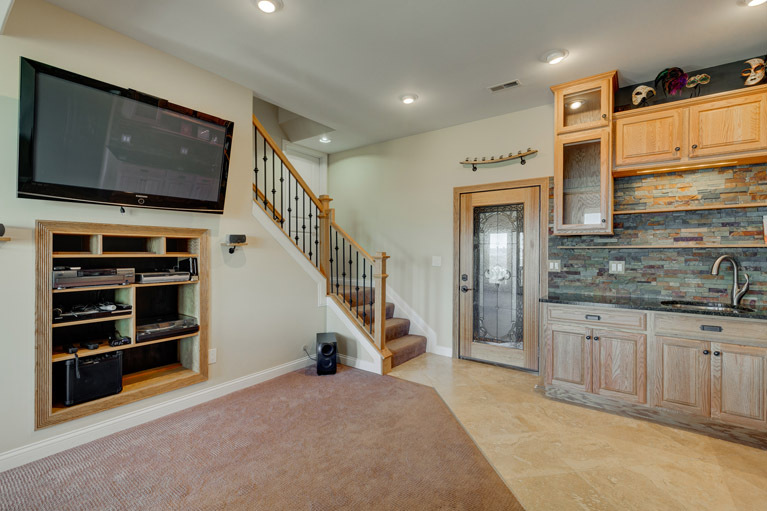 There is a custom wet bar with special lighting, space for a wine room, a home theater area, and a walkout to a private patio with a hot tub. There is also a full bath downstairs. 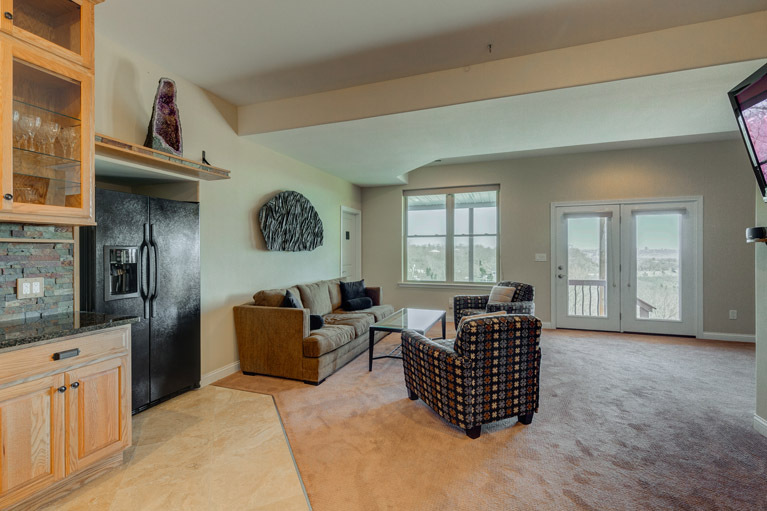 Other features include a laundry hook up on both the 1st and 2nd floor to accommodate your personal preference. 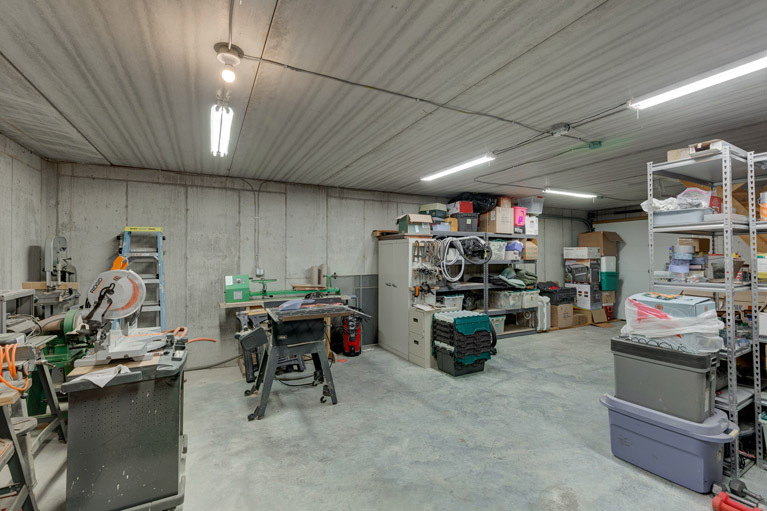 Also there is a large lower level workshop complete with a garage door access for all your hobby needs. Oh, and the view? It is spectacular! 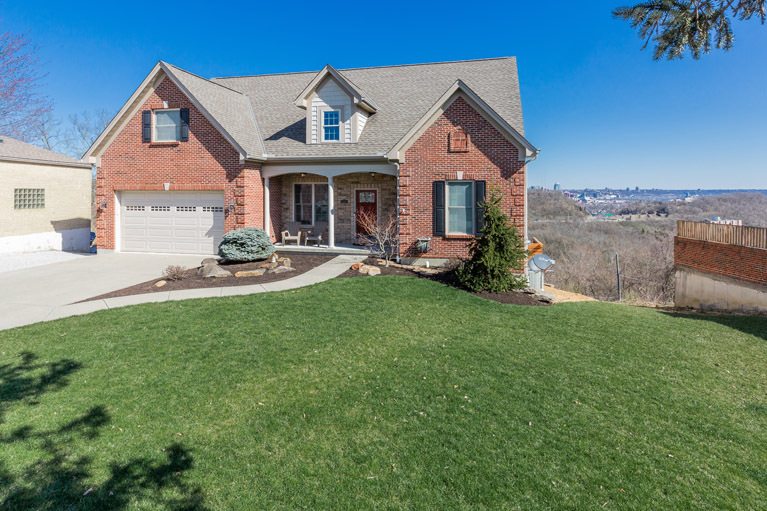 The Cincinnati skyline views from this home are beautiful from the deck and all of the upstairs bedrooms. 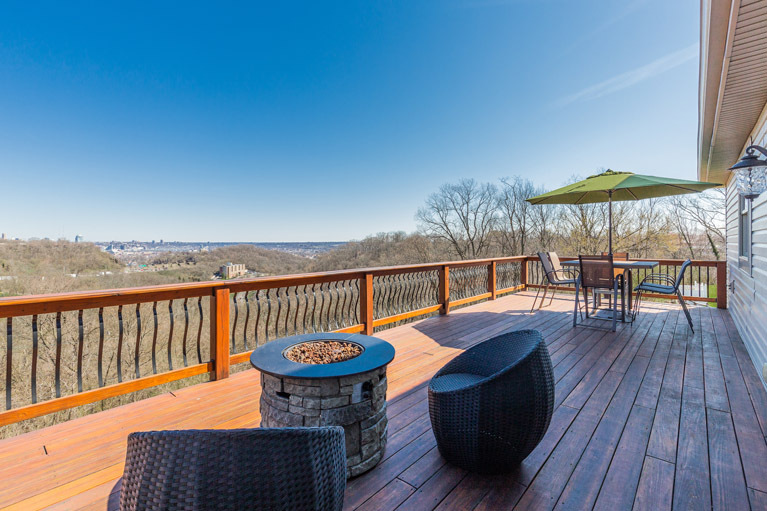 This will be the perfect place to view the lights of the skyline at night while you relax with your glass of wine. 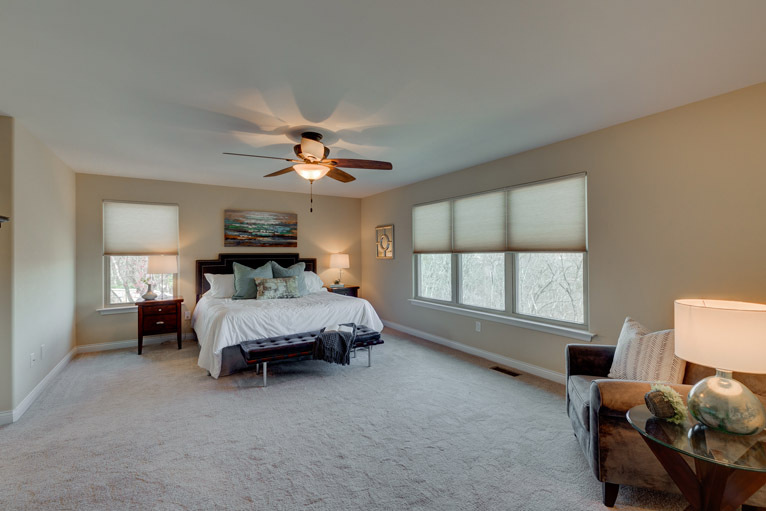 Imagine watching the fireworks while enjoying the comfort of your own home! 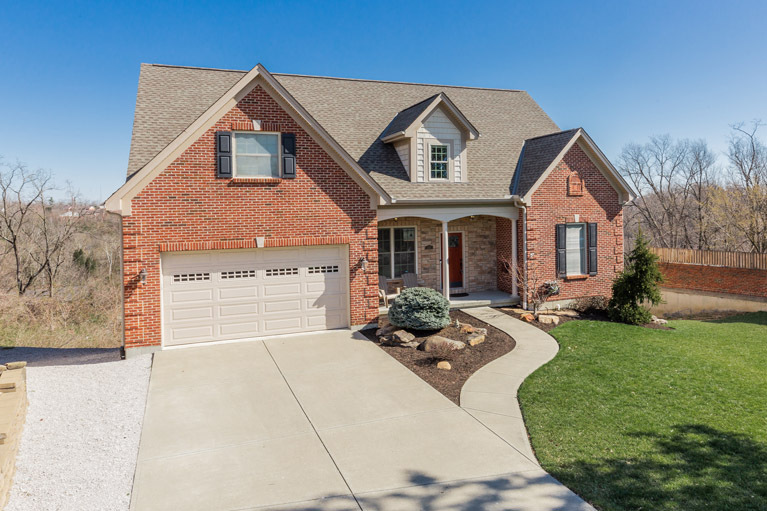 Contact Anne Marie 859-816-8424 or Brad 859-466-4912 to schedule a showing!